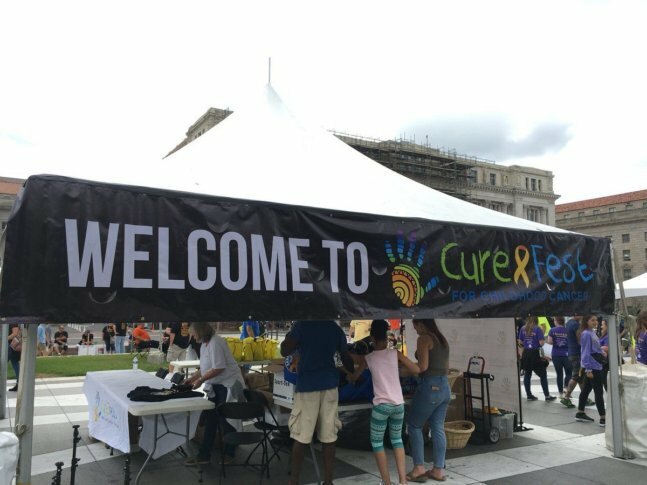 WASHINGTON — Folks from across the nation are banding together for CureFest, an annual, weekend-long event in D.C., to raise awareness about pediatric cancer. During CureFest, representatives from pediatric cancer awareness foundations traveled to Capitol Hill to speak to lawmakers in hopes of getting increased research funding to find better treatments and, ultimately, cures for the various forms of childhood cancer. Participants include “people who have children in treatment for cancer, people who have lost children to cancer, and there are a lot of people who are here who are just advocates, who don’t actually have a child that has been impacted by cancer,” said “Tattoo Tom” Mitchell, who was a single dad when his daughter Shayla was diagnosed with cancer at age 16. For Shayla, they unfortunately ran out of treatment options. Tom said they had candid conversations about what his life might look like after she died. “One of the things that she made me promise is that I would do everything in my power to help other families and other children that were in similar situations,” he said. Still Brave, the Fairfax County-based organization Tom founded in Shayla’s memory, is one of many organizations represented at CureFest.